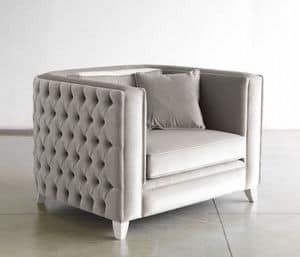 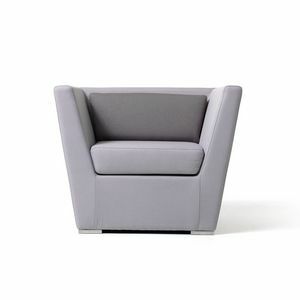 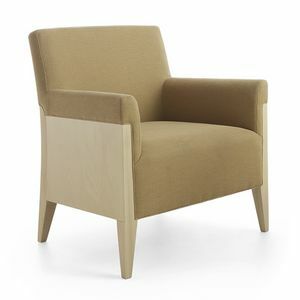 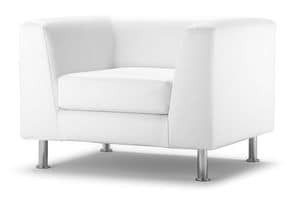 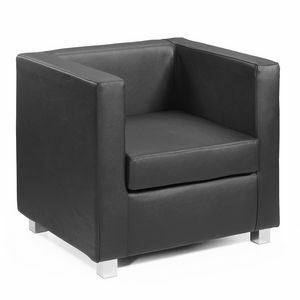 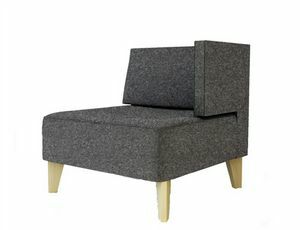 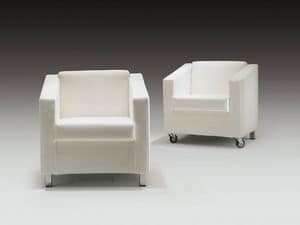 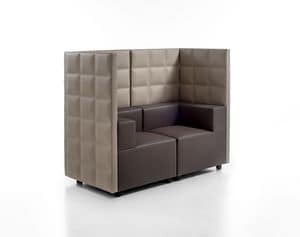 Design armchair for hotels and office, suitable for bars, halls and for reception. 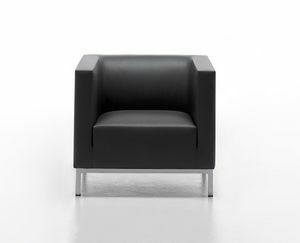 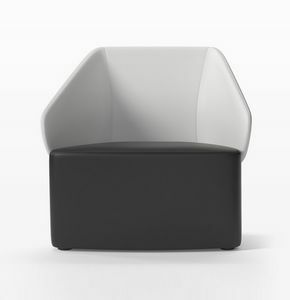 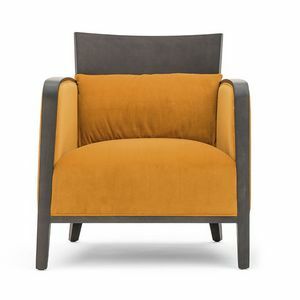 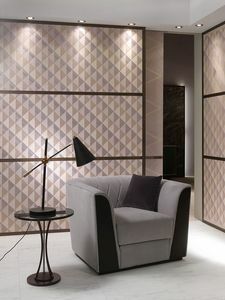 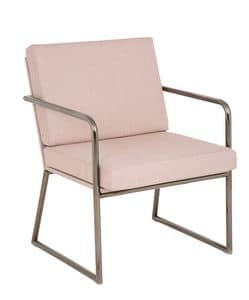 Armchair upholstered and covered with fire retardant fabric, vinyl or leather. 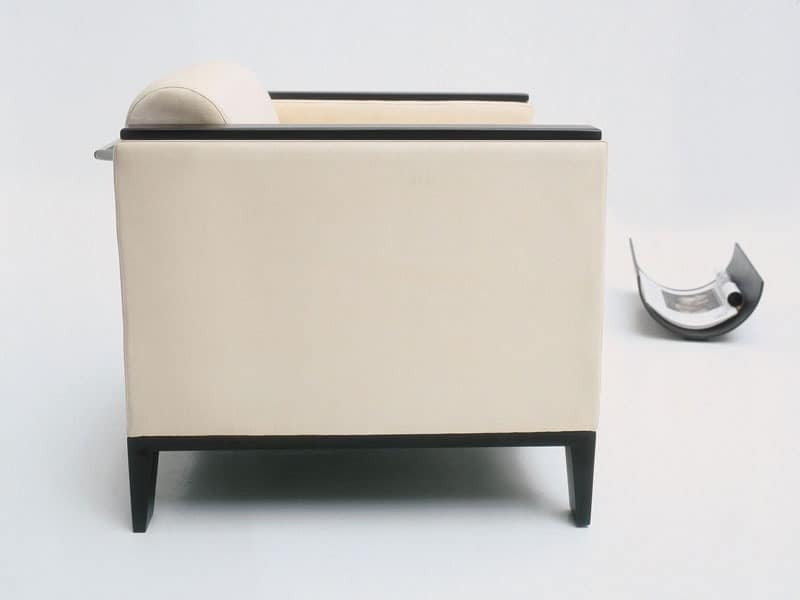 Legs are available in beech wood, in round chromed metal or in square chromed metal. 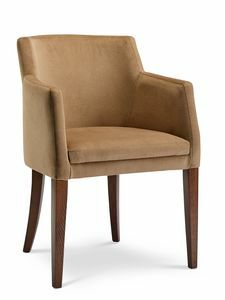 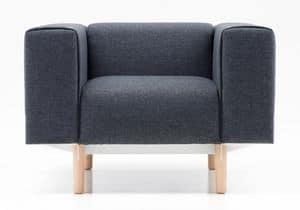 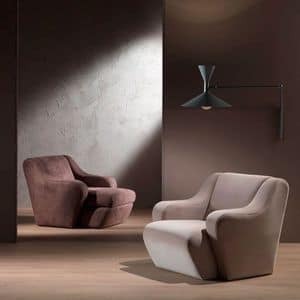 Armchair is available also with arms in wood. 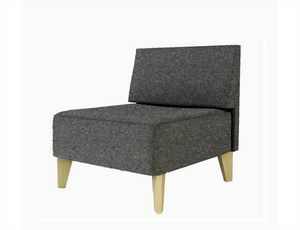 Available also as two-seater sofa. 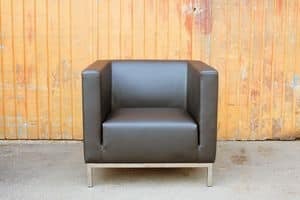 H 71; W 70; D 76.5; SH 43.